Logan is a revolutionary liner lock with no removable pivots. It’s generated from a grade 5 titanium “MONOLITE”. CNC milling generates, with an accurate and patient work, Logan’s compact body. 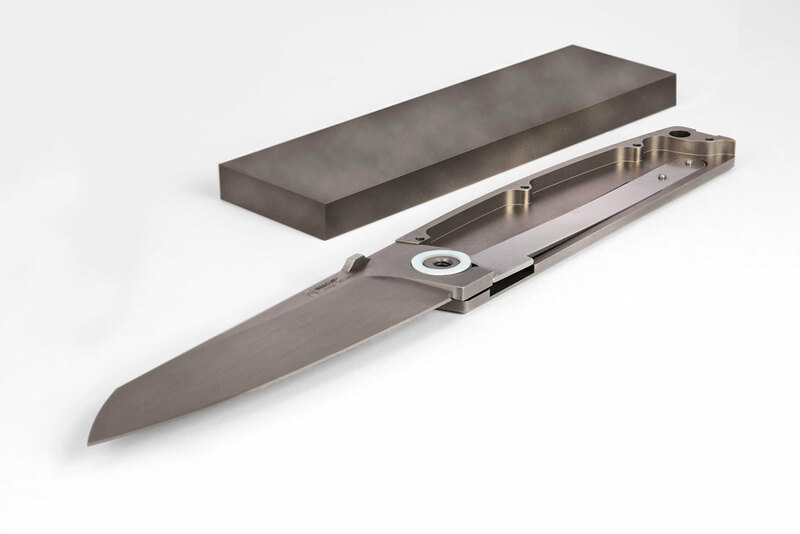 It's a light, slim, solid, and high performing knife: the blade rotates on the pivot, which is one and the same with the body base. Logan is fitted with a generous and robust blade made of vacuum hardened 61 HRc AISI D2 steel. The blind screws disappear into the body giving Logan the right touch of clean elegance.